I vaguely remember the cartoons when I was young, and now I want to re-visit the material and make my niece watch and read the books because of the family values they explain really well. Didactic shows for children are rare these days, and it saddens me a bit that Janice is gone. I’ll go to the bookstore soon and pick out a few books as my contribution to continue the Berenstain tradition. I picked this book up on Valentine’s Day because, well, it seemed perfect for the romantic mood of the day. I wasn’t able to see the movie when it was shown last year, so I plunged headlong in the novel without any expectations whatsoever. BAM. I am Emma Morley. The trick of it, she told herself, is to be courageous and bold and make a difference. Not change the world exactly, just the bit around you. Go out there with your double-first, your passion and your new Smith Corona electric typewriter and work hard at…something. Change lives through art maybe. Write beautifully. Cherish your friends, stay true to your principals, live passionately and fully and well. Experience new things. Love and be loved if at all possible. Eat sensibly. Stuff like that. It wasn’t much in the way of a guiding philosophy, and not one you could share, least of all with this man, but it was what she believed. 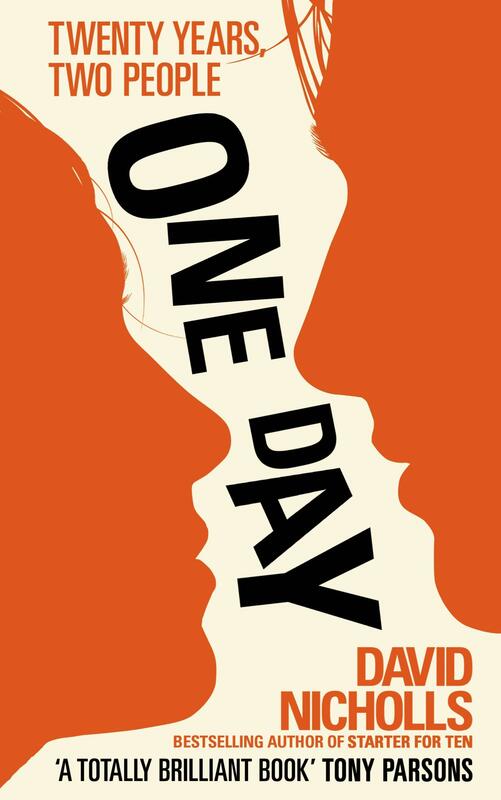 One Day charts the friendship of Em & Dex in a span of twenty years, their lives and other loves interspersing in between. Their letters to each other that’s spread out in the novel are both funny and sweet. The gender stereotypes they portray create the tension and novelty in their relationship that makes it interesting to see through the end: the activist, nerdy girl becomes good friends with the handsome, free-spirited guy in college. As the novel progresses, the paths of their lives crisscross over the years; the intentional meet-ups to keep the friendship alive are highlights & turning points of the narrative. Their personality differences compliment their needs for each other, and they’re two souls who keep coming back to their friendship as their means of anchorage or grounding. She, however, tries to distract herself into her different careers, into different boyfriends who never can measure up to the love she feels for her bestfriend. He, on the other hand, is blinded by his fame and fortune as a celebrity. It burned brightly for a while but fizzled out as age and depression caught up with him. Dexter tries to survive a loveless marriage and fatherhood issues and hangs on to Emma as his only lifeline when his mother passed away. After more than a decade, they finally committed to each other and tried to live happily until a tragic accident closes the book. The plot is quite common: two different people with contrasting values and life views form a strong bond, and the premise that they will fall in love is clear. It feels a bit like the movie My Best Friend’s Wedding where the cultural, political, and emotional backdrop changes as they grow older, their love for each other maturing as well. The nuances of the storytelling, however, takes much of the credit as to how this became a bestseller. 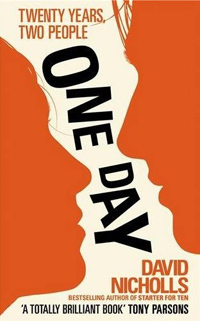 Funny, insightful, and non-linear, this novel reads like a friend’s diary or a friend’s unrequited love. Em and Dex will make you smile, and laugh, and cry. The ending might make you sad, but as we all know, some joys are really shortlived. More Sam Worthington awesomeness as Perseus in the sequel to Clash of the Titans! I wonder how many they’ll make for this Greek Myth franchise. Another childhood story is reworked into a full-blown movie! Check it out! I haven’t seen the movie yet, but I’ll read this one first before I do so. 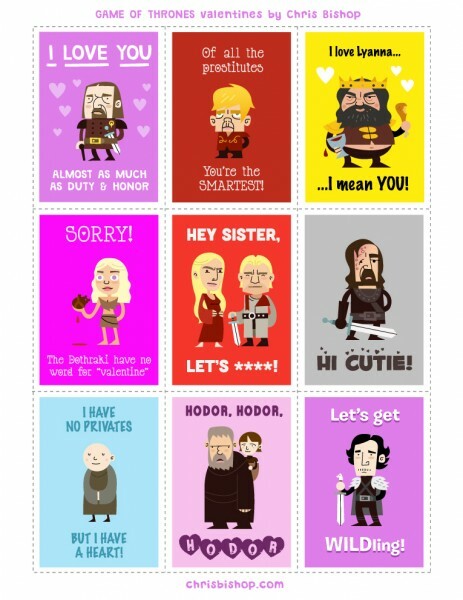 Game of Thrones Valentine’s Day cards! Guess what? Another Snow White fairy tale adaptation. After the more medieval-ish take of Snow White and The Huntsman comes this kiddie, GP flick where Julia Roberts is the funny stepmother. She’s not hate-able!